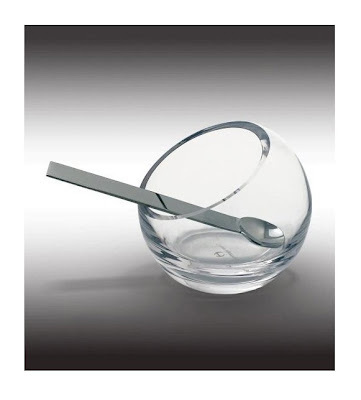 large nio clear glass salt / spice / sugar orb with spoon. perfect for any condiment. comes complete with the classic nio spoon. 3.5" (90mm) in diameter.